How often have you heard travellers complain that their coach tour holiday rushed past in an exhausted blur? That they tried to cram in too much and can�t remember half of what they did or where they went? Our philosophy is that if you try to see too much, you experience less. So we�ve designed a selection of tours throughout the North Island which will leave you with a clear impression of this beautiful country, absorbed at a leisurely and enjoyable pace. 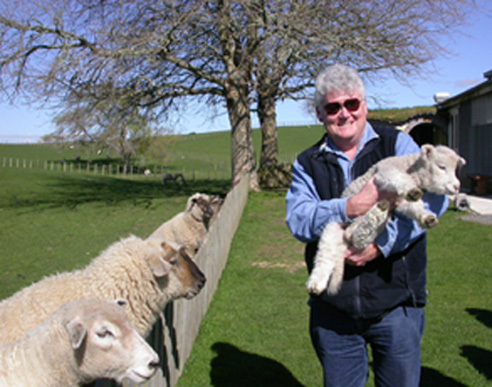 FreewheelingNZ.com�s tours are designed to be flexible and where possible we will accommodate special requests. And remember, there�s always time to stop for an ice cream. Freewheelingnz.com Ltd - See the North Island of New Zealand and places like Rotorua, Taupo, Waitomo Caves, Bay of Islands, Lord of the Rings Hobbiton movie set, Kerikeri Ngatea, Whakarewarewa, Wairakei, Waitangi, Paihia. See such sights as Aratiatia Rapids, Huka Falls, Glowworms or glow worms, Buried Village of Te Wairoa, Cape Reinga, Mt Tarawera, Wai-O-Tapu thermal valley, Waiotapu, Kai Iwi lakes, Treaty of Waitangi, Waipoua forest, Hokianga harbour, Haruru falls, the hole in rock cruise to Motukokako, Pompallier house, Kauri Museum at Matakohe, Tane Mahuta, the tallest living kauri tree. The Puketi forest in Northland. Enjoy a typical maori hangi meal at Tamaki Maori Village. See New Zealand native Kiwi and Tuatara. All this without the rush normally associated with packaged vacations. See native Kiwi and Tuatara.